The commitment to eating local food brings to mind farmers markets, CSA shares, and even the adventure of growing veggies in raised beds out back. But the foragers among us go directly to native sources of nourishment—wild foods that grow abundantly in the mountains and along the trails (sometimes invisible to the untrained eye). Food foraging can range from eating common garden weeds to identifying and collecting seasonal mushrooms. But however you approach it, foraging requires an understanding of wild plants on a very intimate level. Dandelion is a nutrient powerhouse. The bitter component of the plant, often missing in American cuisine, aids digestion. Young leaves can be added to salads, blended into pesto, or cooked in soups, sautes, or frittatas. The roots make a potent liver tonic tea. And even the bright, sunny flowers can be battered and pan-fried for a tasty treat. 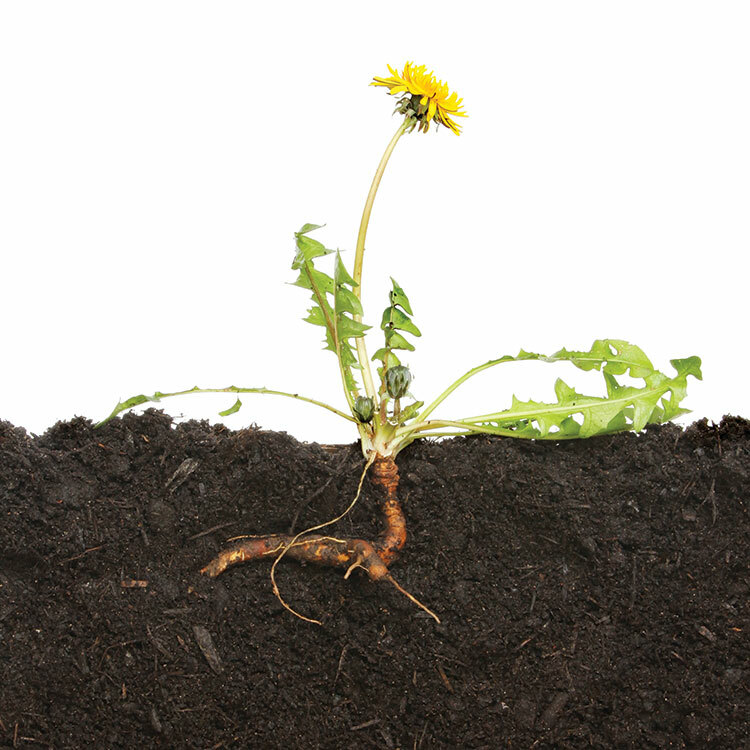 The dandelion weed is highly adaptable to many regions and environments, a characteristic that also makes it so nutritious. Its long taproot mines minerals like calcium and iron from the soil. Nettles (or stinging nettles), another nutritious weed, grow in moist, well-drained areas, near riverbanks, or woodland openings. They propagate easily, so harvest selectively by cutting a few stalks and leaving others to seed next year’s patch. Cut nettles in the spring when the leaves and stalks are still tender, but make sure to wear gloves to avoid their sting. The leaves, seeds, and stalks of the plant can all be eaten. Just smash, dry, or wilt them during cooking to eliminate the sting. Use nettle greens as you would spinach in cooked dishes, atop pizza, in smoothies, made into pesto, or dried and powdered. 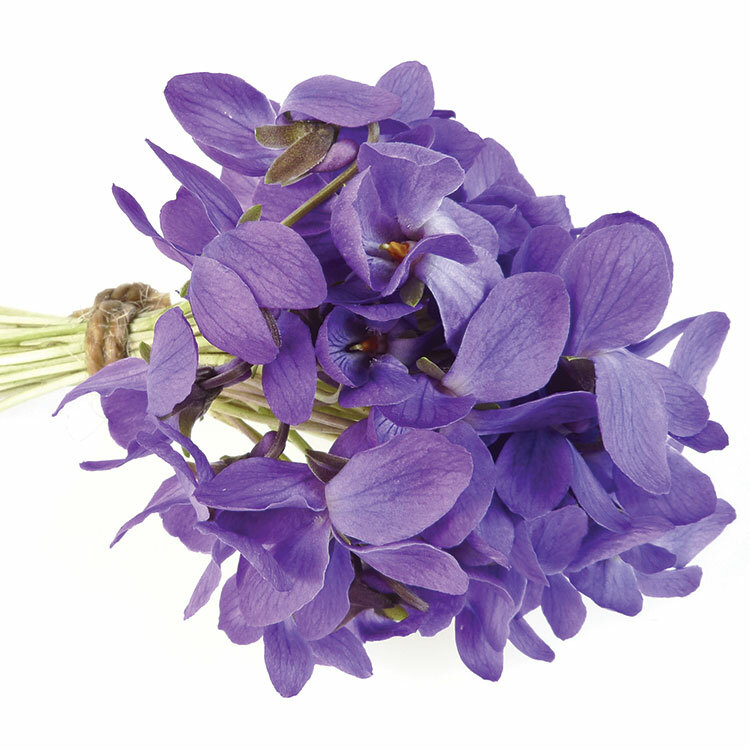 They also help curb springtime allergy symptoms. 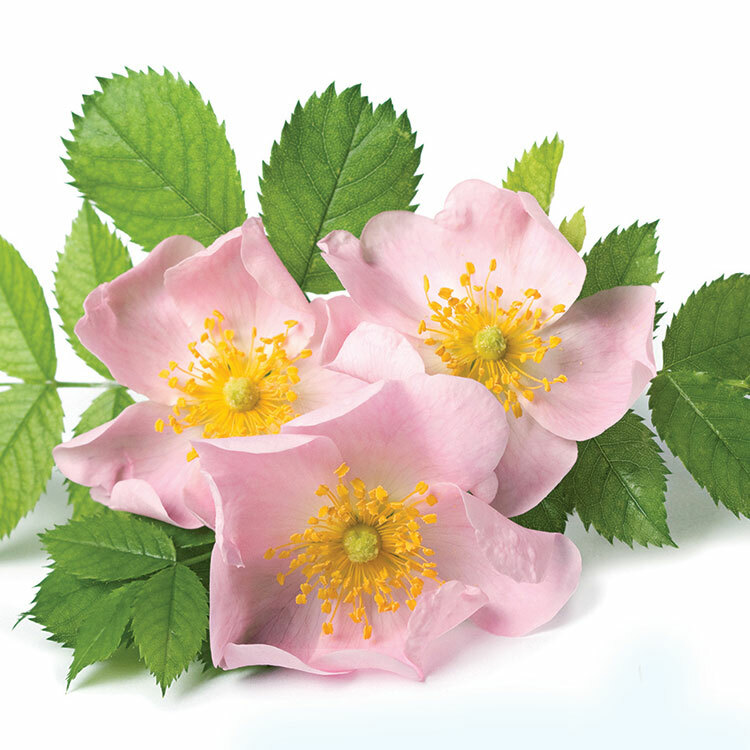 Wild roses line many trails and backyards, but are often ignored. Still, a rose bush can provide three-season food to the savvy harvester. 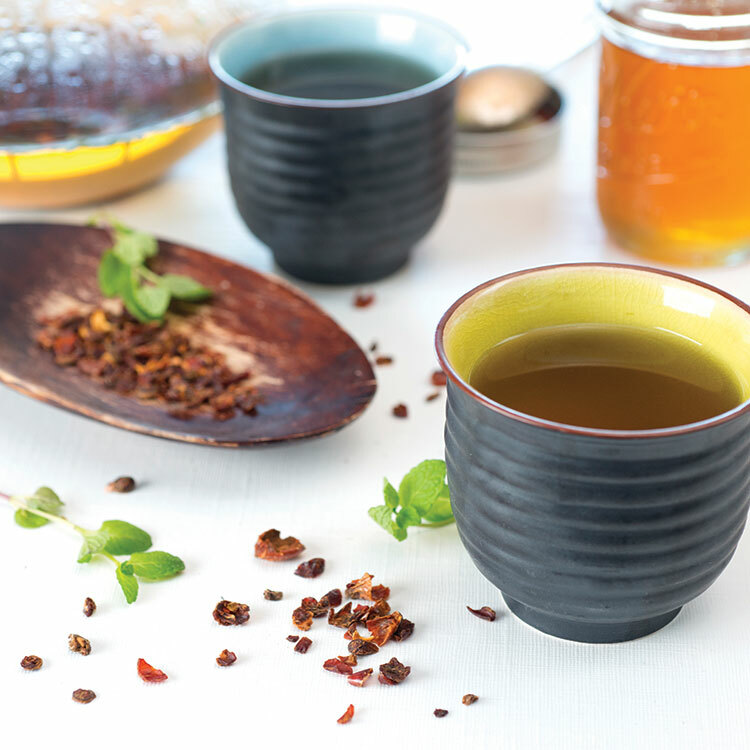 Enjoy the delicate flowers in desserts, on top of salads, and added to teas. In the late fall, harvest the berry-like seedpod, or hip, to make a tea or syrup high in vitamin C.
Violets begin popping up in spring and are abundant throughout the summer. Add this edible flower to salads, blend them into aesthetically pleasing herb butters, or candy them in sugar to top desserts. The leaves and stems contain beta carotene and vitamin C, and are great additions to salads, pestos, dressings, and soups. The magic of morel mushrooms lures foragers into the springtime woods like nothing else. Yet where they pop up can be hit or miss and can vary from year to year. Morels notoriously grow in areas that burned in the previous season. They also hide beneath dying trees or along creek beds that easily flood. But don’t bother to ask a fellow hunter his secrets—he’s unlikely to tell you. When harvesting mushrooms it’s important to harvest into a mesh bag or wire basket, letting their spores fall back to the earth and redistribute. This increases the likelihood of a harvest for next year. 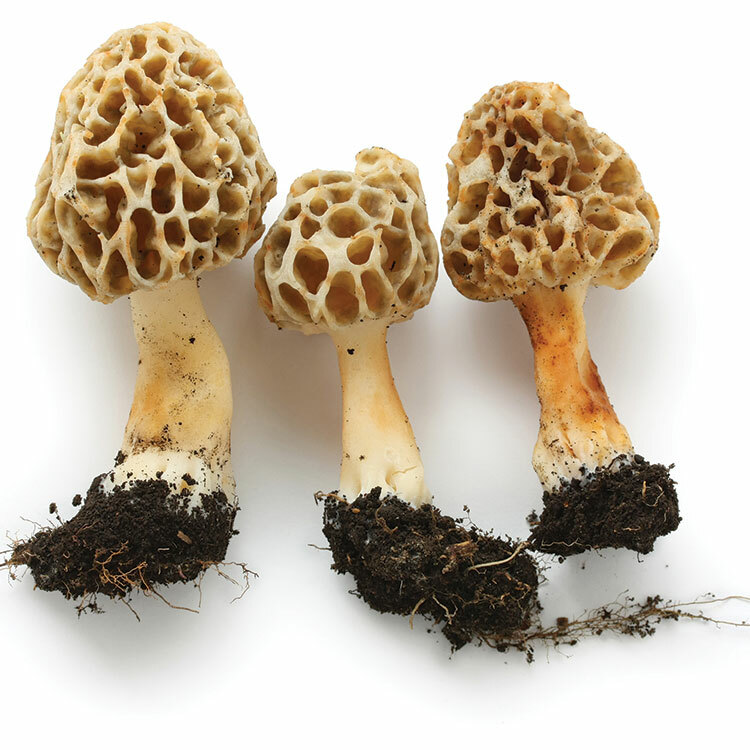 And while morels are fairly easy to identify, be aware of “false morel” look-alikes. Never eat a mushroom unless you are completely certain of its identity. Do a quick test: a true morel will be completely hollow and attached to its stem when cut lengthwise. While there are various fancy recipes for enjoying morels, the tried-and-true recipe of sauteing or grilling them with butter, salt, and pepper is the easiest, and tastiest, way to eat them. Caution: never eat morels raw, as they can make you quite sick. 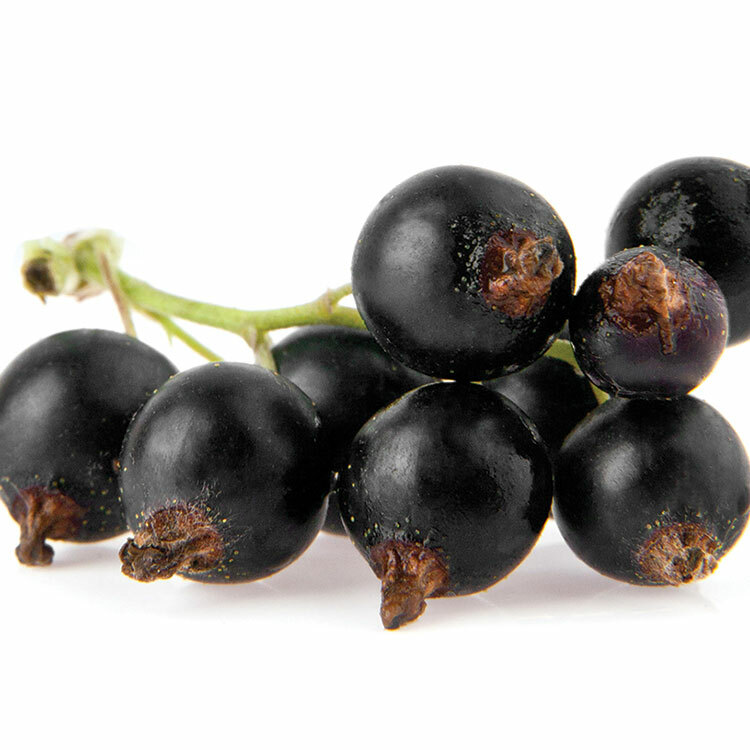 Huckleberries are a favorite, and well-popularized, berry found in the mountains. And the secret is definitely out on their delicious flavor! Be cautious of harvesting only one side of the bush when it’s heavy with fruit, though. And also use proper etiquette and don’t pick a bush clean. Bears are notorious for cleaning up a huckleberry patch, so always keep one eye on your back. 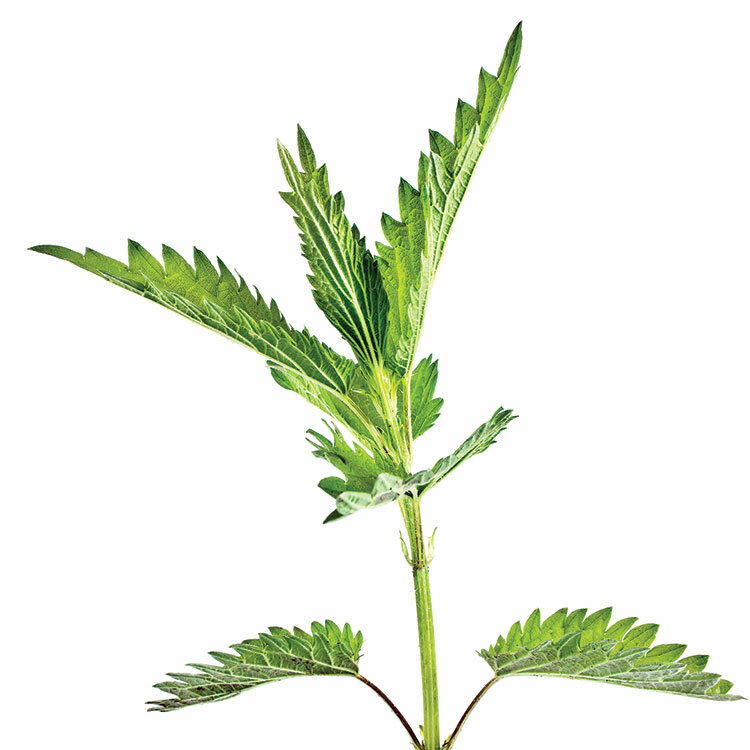 Many edible plant species exist right under your nose, so pay close attention. 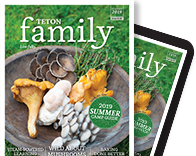 Kevin Taylor, environmental educator at Teton Science Schools, recommends selecting three to four plant species to study and watching them as the season changes. Learning the entire life story of a plant helps us better understand where it grows, under what conditions it grows, and what parts of the plant are edible. If you’re new to foraging, it may take many seasons before you feel confident enough to actually eat the plant. Make eating wild plants the final step in your foraging adventure. – Know the environment. Areas with potential herbicide or pesticide use should be avoided. – Collect plants that are out of view from trails and heavily traveled areas. – Learn what plants are on rare and endangered lists. Plants deemed “sensitive” should be left alone. – Taylor suggests harvesting what most would consider weeds. “That way, you’re getting a two-for-one—weeding and eating at the same time,” he says. Steep rose hips and mint leaves in boiling water for 10 minutes. 2. Strain and add honey, if desired. 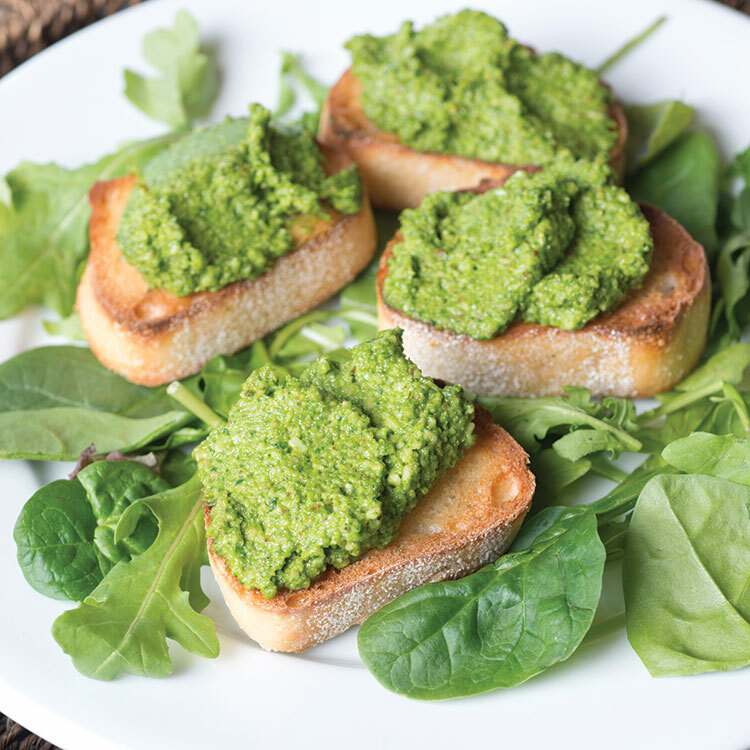 Serve pesto on toasted crostini as an appetizer. Or mix it into cooked pasta, spread it on pizza, or freeze it in small containers or ice cube trays to use throughout the year. 1. Wash and dry greens. 2. Blend nuts and seeds in food processor or blender until well-ground. 3. Add greens and garlic until mixture is well-mixed. 5. While mixing, drizzle in oil until desired consistency is reached. Add more, if needed.